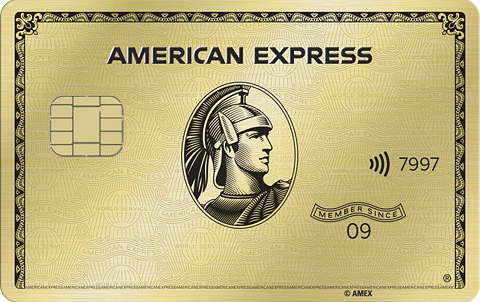 The newly rebranded American Express® Gold Card has boosted the points per $1 spent in the most popular categories. It’s also put literal heft into the card, offering it in either gold or limited edition rose-gold metal card options. If you’re looking to upgrade from your current American Express card or you’re looking to switch to a higher-end credit card, then the new American Express® Gold Card is one to consider, especially if you travel or dine out regularly. Of course, the card comes with the travel and purchase protection perks you’d expect with a premium American Express card, and offers some new benefits. But as good as the perks are with the American Express® Gold Card, maybe you’re more interested in a card with a lower annual fee, but also similar perks and that same feel of metal in your hand. If that’s the case, consider the Chase Sapphire Preferred® Card as an alternative. The American Express® Gold Card welcome offer allows you to earn 35,000 Membership Rewards® Points after you spend $2,000 on eligible purchases with your new Card within the first 3 months. Once you have the card, you earn 3X Membership Rewards® points for flights booked directly with airlines or on amextravel.com and 4X points at U.S. restaurants and U.S. supermarkets (on up to $25,000 per year in purchases, then 1X). The biggest change with this card is the boost in Membership Rewards® points per $1 spent on travel, dining and supermarkets. Another big change is two new pay-over-time options. The select option allows you to ask to move certain charges from monthly pay-in-full to pay over time, based on factors including your account history, current account status and credit record at the time of the request. With direct, you can set the card so all charges automatically go to pay over time. You won’t be charged interest if you pay off the balance by the due date each month. You now earn up to $10 in statement credits every month when you use the card for dining with specific partners. And for the first three months you use the card at a restaurant, you’ll get 20% — equal to a nice tip — back as a statement credit, up to $100, if you’re approved for it before Jan. 9, 2019. A big reason to have this card in your wallet is the flexibility it gives you when it comes to using the points you earn. You can transfer them to 17 airline or three hotel loyalty programs. If you want to pay for travel, you can use a mix of points and cash to cover things like your flight, a hotel booked and paid in advance, a vacation package or a cruise when you do it via amextravel.com. You get up to $100 in statement credits per calendar year to cover airline fees like checked bags, in-flight refreshments, flight-change fees and airport lounge day passes while traveling. The points per $1 spent on airlines — either via its websites or at amextravel.com — is more than what’s offered by most airline credit cards — and the foreign transaction fee is None. You’ll pay a $250 annual fee for this card, with no waiver for the first year. The higher points per $1 spent for airfare are only available if you use the card to buy your tickets directly with an airline or at amextravel.com. It doesn’t cover favorite travel categories like hotels, cruises, rideshares, home shares and parking. A big change from the old gold card is that points earned for spending on gas drops to the lowest points per $1 spent. There are other cards that offer more points in the broader travel category. If you shop at superstores or warehouse clubs, you won’t get the higher supermarket points. You can find our best cards for gas rewards here. You’ll pay interest on your select or direct pay-over-time balances based on the transaction date, and if you go over your American Express’ pay-over-time account limit, you’ll have pay in full by the monthly due date. Want to transfer your Membership Rewards® points to an airline loyalty program? It’ll cost you $0.0006 per point, with a maximum fee of $99. That $100 airline fee credit is nice, but you can only choose one carrier per year in order to use it. You can’t use the credit on airline tickets, upgrades, mileage points purchases or transfer fees, gift cards, duty-free purchases and award tickets. This card still doesn’t come with travel-related perks like airport lounge access, a free checked bag or priority check-in, security lanes or boarding. There’s also no way to earn bonus miles that go toward elite status on an airline, and you don’t get an in-flight discount. Remember that new $120 dining credit? One, you have to enroll to get it. And two, you only get it if you use the card at The Cheesecake Factory, Ruth’s Chris Steak House, participating Shake Shack locations and food delivery services Grubhub and Seamless. Only restaurants based in the U.S. earn the higher points per $1 spent. The higher points don’t work with restaurants located in hotels, casinos or event venues, nor can you earn more points when using the card at nightclubs and convenience stores. New cardmembers Earn 60,000 bonus points after you spend $4,000 on purchases in the first 3 months from account opening. Those bonus points convert to $750 toward travel if you use them in the Chase Ultimate Rewards® website. Although the Chase Sapphire Preferred® Card’s rewards — 2X points on travel and dining at restaurants & 1 point per dollar spent on all other purchases worldwide — are lower than the American Express® Gold Card, the card does offer more points per $1 spent — outside of airfare — for travel. Travel spent on the card includes hotels, car rentals and cruises. But here’s where the Chase Sapphire Preferred® Card pulls ahead of the American Express® Gold Card — you earn 25% more value from your points when you redeem them for travel at Chase Ultimate Rewards®, a good perk if that’s something you spend on that regularly. The American Express® Gold Card allows you to transfer your points to 16 airlines or three hotel loyalty programs, but charges you for the privilege. The Chase Sapphire Preferred® Card lets you transfer your Chase points 1:1 to more than 10 airline and hotel loyalty programs — at no cost — via the Chase Ultimate Rewards® website. 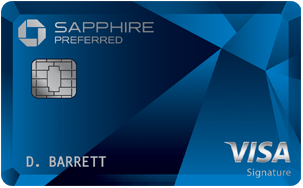 The Chase Sapphire Preferred® Card has similar perks offered by the American Express® Gold Card, including auto rental collision damage waiver, baggage delay insurance, trip cancellation/interruption insurance, trip delay reimbursement, travel and emergency assistance services, extended warranty and purchase protection. Welcome Offer/Sign Up Bonus 35,000 Membership Rewards® Points after you spend $2,000 on eligible purchases with your new Card within the first 3 months. Earn 60,000 bonus points after you spend $4,000 on purchases in the first 3 months from account opening. When deciding between these two cards, it’s all about what’s most important to you. The changes to the American Express® Gold Card are welcome, but they target those who spend more on dining and supermarkets. The bump in travel is also good, but it’s limited to just airfare. The Chase Sapphire Preferred® Card’s points per $1 earned for travel is lower, but it has a broader definition of the category than the American Express® Gold Card, plus you get more for your points when you spend them on travel in Chase Ultimate Rewards®. But the dining points you earn with the card are lower than what’s offered with the American Express® Gold Card. 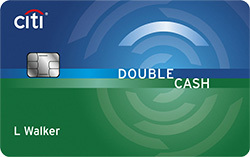 Both cards allow you to transfer your points to airline and hotel loyalty programs. 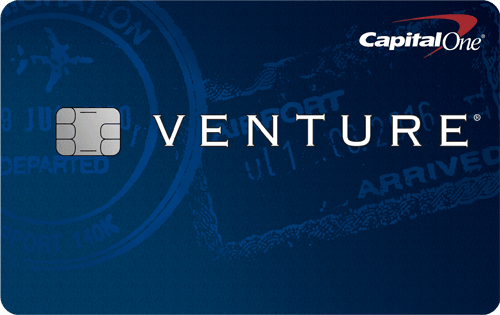 But with its 1:1 transfer — and no fees to do it — the Chase Sapphire Preferred® Card comes out ahead. The travel and protection perks offered on both cards are pretty even, although the American Express® Gold Card comes out ahead because of the dining and airline credits it offers. If earning more points on dining, supermarkets and air travel are most important to you, then the upgraded American Express® Gold Card is the card for you. But if the chance to earn higher points for a broader definition of travel, plus the chance to get more value for those travel points, then the Chase Sapphire Preferred® Card is a better option.